If you are looking for the perfect gift for a new mom, an Aaron Basha baby shoe is spectacular! 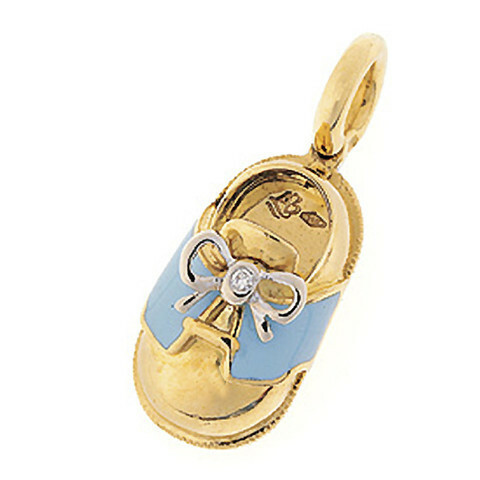 This saddle shoe is crafted from 18kt yellow gold and features a light blue saddle in enamel. A small diamond nestled in the shoestring tie adds a little extra sparkle to this captivating piece. This Aaron Basha charm is a delightful addition to any charm bracelet or necklace.